3Pillar was interviewed for a report released on June 17, 2015 by Forrester Research, Inc. on the need for companies to have a business technology (BT) strategy in place to to accelerate digital business cycles. Titled Accelerate Digital Business With a BT Agenda, the report cites 3Pillar as one of the companies interviewed, along with Adobe, InterContinental Hotels Group, and Virgin Atlantic, among others. As shown in the figure below, the way that technology systems are being conceived and created is rapidly changing. Forrester believes that companies must adapt to a new range of technologies and ways for them to communicate in order to succeed in the digital business space. The report was written by Martin Gill and Peter Burris. Zia Daniell Widger, Nigel Fenwick, Christopher Mines, Laura Koetzke, and Alexander Causey also contributed. 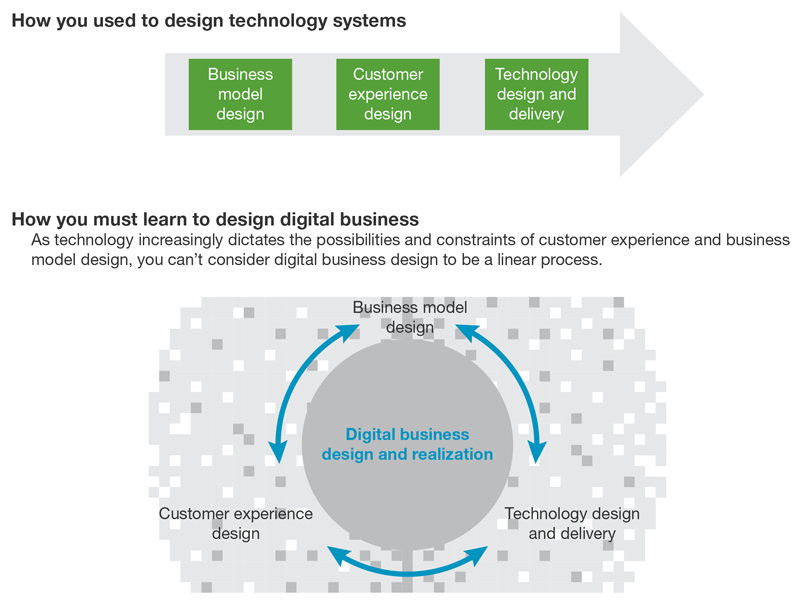 Digital business demands a new approach to technology management. Think about how your firm has delivered technology in the past: monolithic, on-premises applications chosen because your firm signed a five-year enterprise agreement with a vendor; waterfall software development with only two release windows a year; business executives throwing endless lists of “must-have” features over the wall to technology management teams. Those days are gone. Instead, eBusiness executives must collaborate with their firms’ technology teams to champion a business technology (BT) agenda and transform the way they design, develop, and deliver innovation by adopting approaches like Agile development and DevOps.